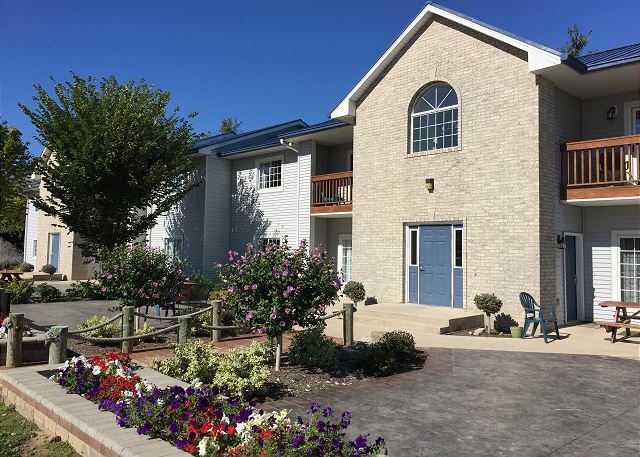 Nestled on over 500 feet of beautiful Lake Erie, the Put-in-Bay Poolview Condos offers both stunning views and updated accommodations. Just a mile from downtown. 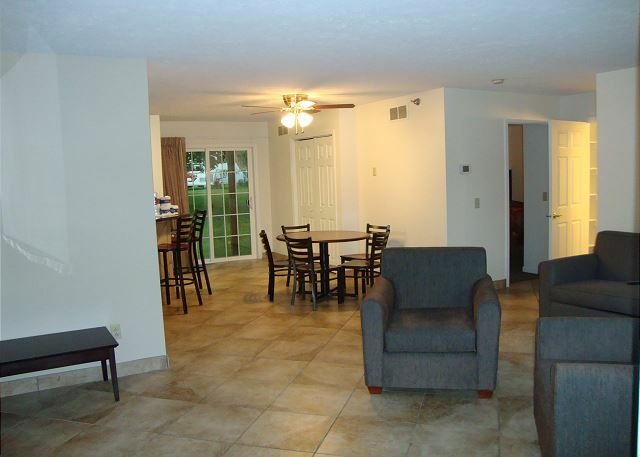 There are eight units on this property, with each having two bedrooms and two baths. 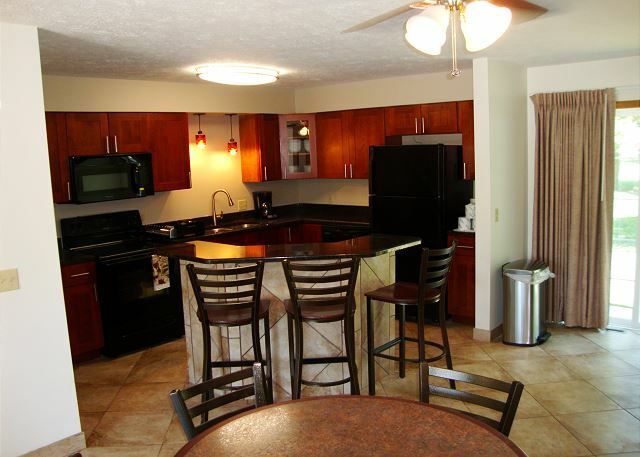 Also, there is a full service kitchen with full size appliances. 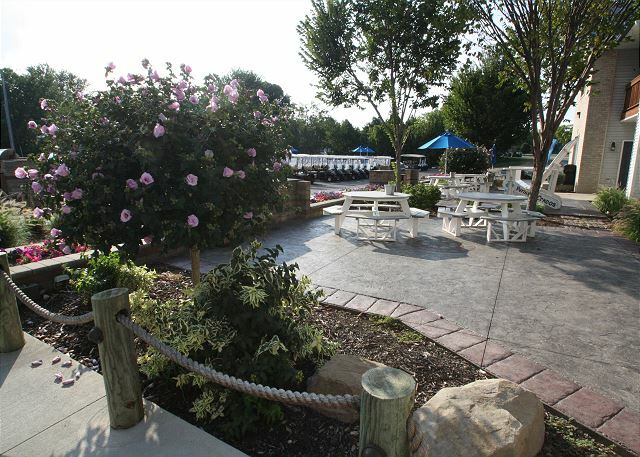 Enjoy the lake breezes or take a dip in the pool, while never leaving your slice of heaven. 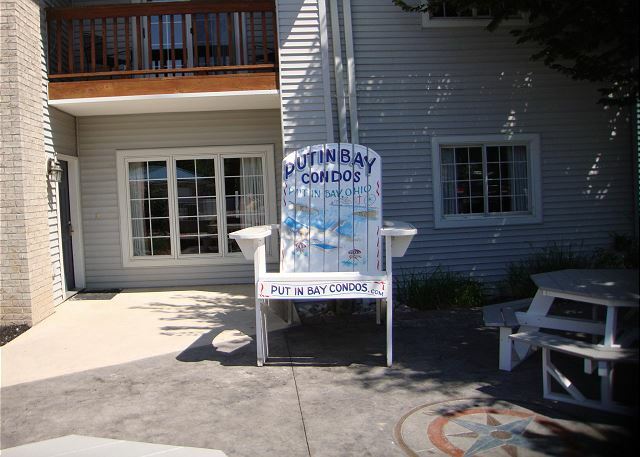 The Put-in-Bay Poolview Condos are the only lakefront condo rentals on the island. 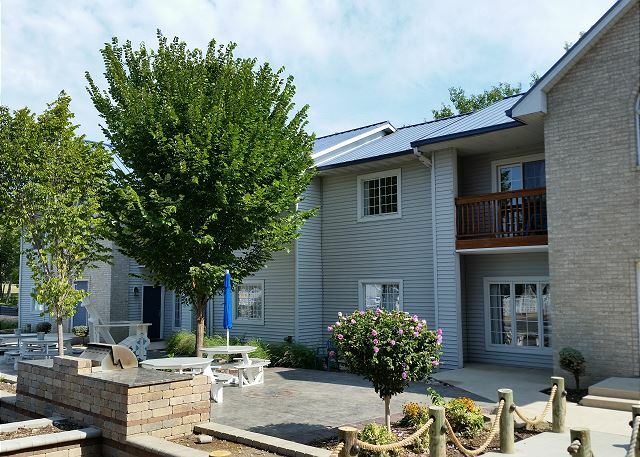 The Put-in-Bay Poolview Condos are an excellent choice for your next trip to the Lake Erie Islands. 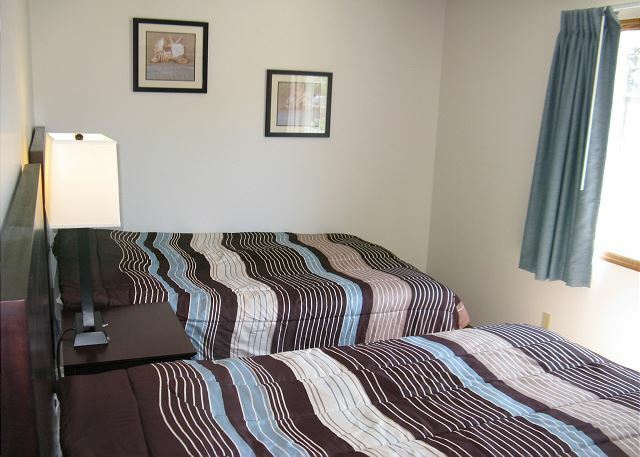 Comfortable accommodations and superb location add up to a great time for you and yours. Don't delay! Book yours today before your dates are sold out. The time is now to put an island in your life! "The room was nice, a little outdated. Our whole group had a nice time. Would be great if there was a pool bar on site. " 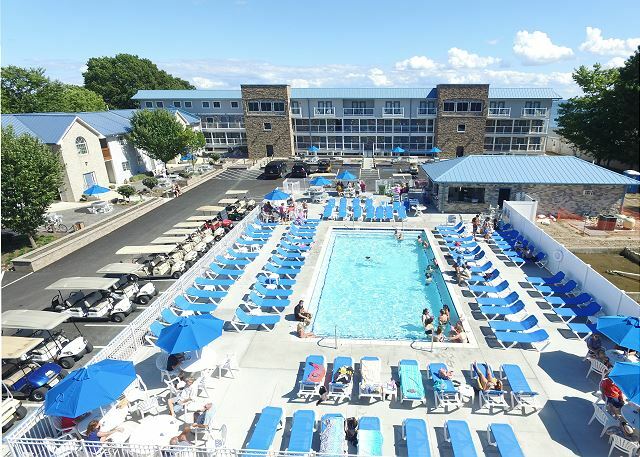 "We thought the accommodations were very nice. The living room/kitchen area was was spacious. Our only real complaint would be that the coffee pot did not work and leaked all over the counter when brewing. 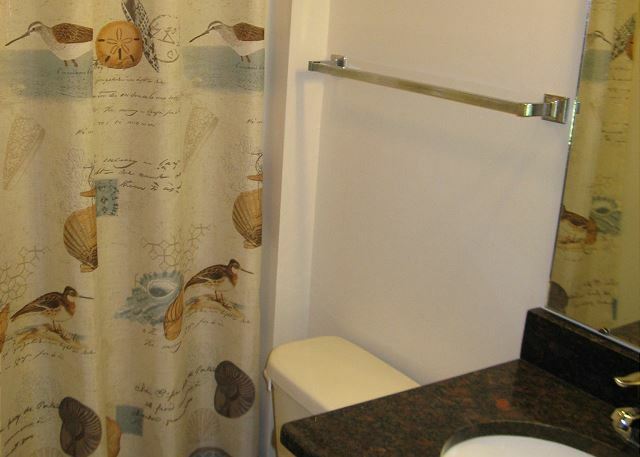 Although it wasnt necessarily part of our condos amenities, we also purchased the towel and linen service. We were provided with ample towels but the sheets were disappointing as they didnt include a fitted sheet for the mattress. We felt like we had to keep fixing the beds all night long as they wouldnt stay tucked under the mattress. Otherwise, we enjoyed the stay and would definitely book a condo again in the future. " "It felt like home away from home. Enjoyed my stay." "Great time as always. Place was clean and quiet at night "
"The condo was in nice shape itself but needed updating in some of kitchen area. Who has 4 full/queen beds that could sleep 8 people easily and only have 2 glasses to drink from. That just seamed a bit strange. There were a couple of other things missing from that we could have used. " "We stayed for 3 nights. Island club gave us contact information in advance to set up transportation from the dock to the condo. 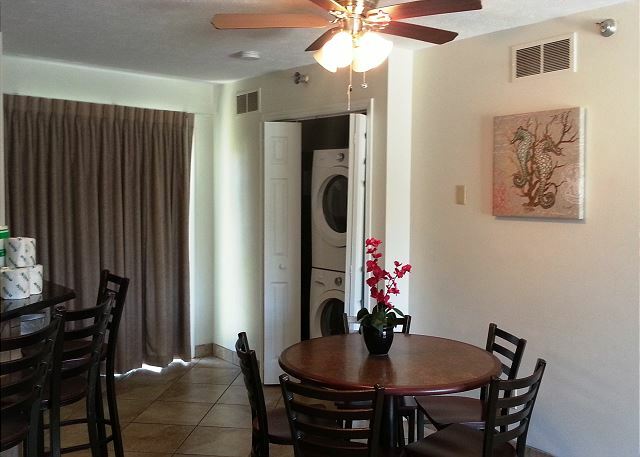 Upon arriving the condo was in great shape, it was very clean and had everything we needed. 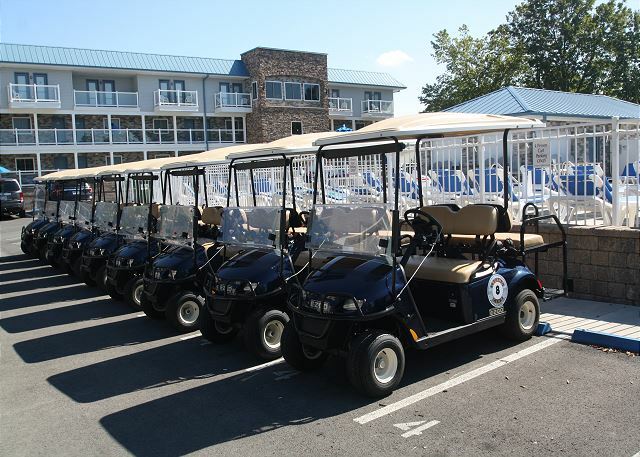 We were able to rent golf carts from them for a great price. Overall the island club staff made our stay great. I am sure any of their properties would be comfortable." "The kitchen needed more supplies. No dish rags or dishwashing detergent. Large living area and plenty of seating. I would stay there again. " "The room was nicer than most on the island. Our friend's were in the room below us and they could hear every footstep we or our children made which made us feel bad and had us tiptoeing a lot (or trying). The beds were not in very good condition and I found myself wiping down walls from previous guests' dirt." "Nice place, outside lanscaping was beautiful, hopefully lakefront area will be done soon! Stayed during the week, much more affordable! For the amount of people it sleeps , worth the price!" "We had a great time and the condo was close to town with the golf cart. The condo was clean and very comfortable. 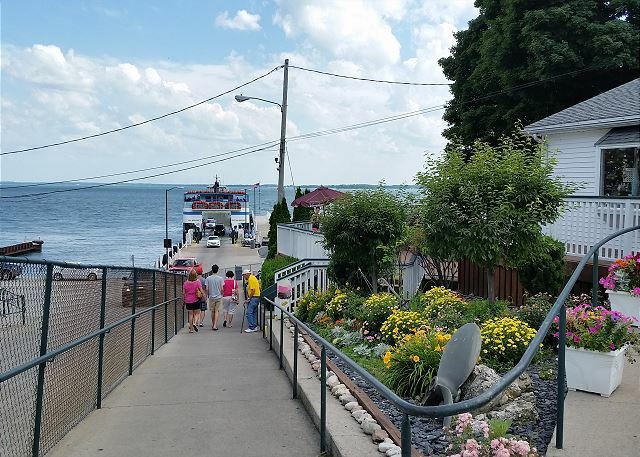 Would recommend "
"For the most part it was a great stay, we've been going for the past 5 years now & have always stayed at Put-in-Bay condos. I was a little disappointed that the condo wasn't as up to par as normal we noticed underneath/behind furniture was dirty & in the bedroom, the bathroom door had a hole in it & it seemed to stick trying to open & close it, the toilet paper holder also kept falling apart & outside on the patio there were many cobwebs/bugs (it could definitely use a good power washing). But, the group shrugged it off & still had a good time. They just added on condos to the property & they completely redid the pool (which is very nice)." "Love the new condos, probably should have stayed there. Newer/cleaner"
"The condo was very nice and clean and the staff was super accommodating and friendly"
"The experience at the condo was overall very good. There were a few things some of the girls brought up as a concern. First was that the condo floors and chairs were covered in dust from the construction going on outside. Second, most of the dishes were not cleaned or had residue on them. The last thing was no internet access. In the app I downloaded, it said there was internet and a password was given. Beside theses small concerns, the condo and experience was great and I will be recommending them to many of my friends and will be booking again with the island club condos. Thank you- Katie Sosoka"
"We love the location of the condo and the proximity to the lake. But things weren't as good as usual. We expected the construction, so that wasn't a problem. But getting to the lake was very difficult. We only had one coffee cup and even after contacting the office we still didn't get any more. We had light bulbs out in the bathrooms. The walls could have been wiped down to get the dead bugs off. The screen door on the front balcony would not stay on its tracks and there was no screen on the back balcony at all. Thankfully the weather was too cool for swimming because we had no pool and I was not told in advance. " 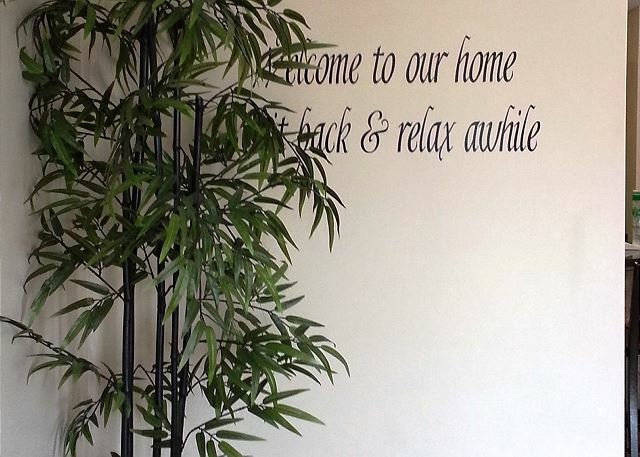 "We chose to stay at this rental property again because we stayed last year and had a fantastic experience. This year we still had a good time but there were a few things that I was disappointed in. I felt that the condo was slightly dirtier than it was last year upon arrival. The both decks had tons of bugs and spider webs everywhere. There were also marks on the bedroom walls that looked like someone killed bugs and left them there. I was also slightly irritated during our last night there, we were getting ready to go out (well before quiet hours began) and the security sitting in the truck yelled at us to keep our music down, meanwhile the night before we had difficulty sleeping because our neighbors below us were making so much noise and I am pretty sure nothing was done about that. Neither of those instances were huge factors in our stay but as a paying and returning customer, I would have appreciated being asked respectfully to turn down music if it was that much of an issue during non quiet times. I do appreciate the quick and pleasant service of Dottie when we discovered that we were missing a coffee pot our first morning there. She had a new one delivered immediately! Thanks Dottie! We still look forward to returning next year, but just wanted to bring those things to your attention. Thanks :)"
"The condos are under construction which was not shared with us prior to arrival. Construction started by 7am and it is muddy all around the condos as there is gravel and construction equipment all over. Also, the condo was not very clean and did not have wifi as we were told it would. 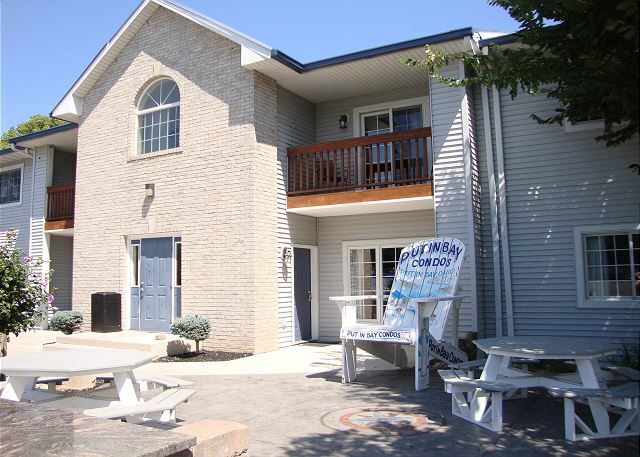 The condos are not far from the Miller Ferry which is nice and right on the water. I would not recommend this property to others until construction is finished. If there were not construction and the condo was cleaner it would have been a nice place to stay." "We had a good time. A lot of construction and a lot of dust but they let us check in early because of it which was nice "
"Great vacation property. Unfortunately we came at the end of the season and construction started the day we arrived blocking our ability to view the lake. Overall a great vacation and we would return again"
"Great location and very pleased with condo. " "The place was nice enough. However, the cost is outrageous for what you get. Also, have to bring all your own bedding which makes the trip over that much more cumbersome. " "It was ABSOLUTELY AMAZING!!! Nothing short of Incredible. I brought my boyfriend as a gift for his birthday and he was astounded! I loved it and will now make this an annual trip..."
"A group of 8 friends stayed here for a weekend and had a blast! Property is close to everything, just make sure you have a golf cart :) "
"We were surprised by how nice the condo was when we arrived. The room was very clean and kitchen well stocked with plates, cook wear etc. Very pleased over all. The downs were beds seemed old. You couldn't get out of bed without it waking everyone was very noisy. Beds were very uncomfortable. The living room furniture was very uncomfortable as well. Couch pull outs aren't usually great but this one seemed very old and aged. The pier entrance very unstable and junked up with large peice of wire and other stuff. Wifi never worked even after calling twice. Overall very nice place. " "This probably the nicest place on the island and certainly a quite place for family gathering. 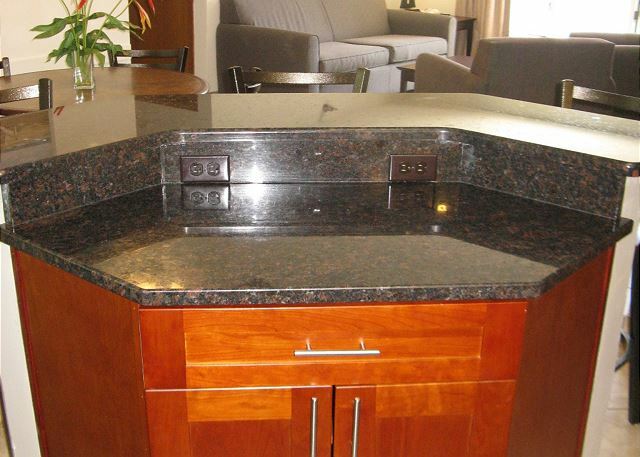 The condo has an open floor plan with granite counter tops & bar stools. The electric stove, dishwasher, round dining room table with five chairs was spacious for breakfast & dinner. Two large bedrooms each with it's own bathroom was very convenient. 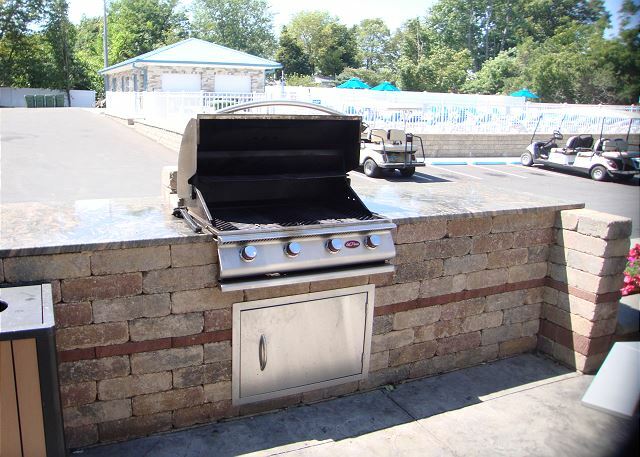 There is a nice BBQ grill, simple pool, large yard and is lake front. Although we were there early in the vacation season, the maintenance of the unit was lacking. For example, the dishwasher ran endlessly for over two hours one day before we shut it off & leaked a little the next. The refrigerator froze our eggs solid. There were broken towel rods and a missing piece of tile trim in the bathrooms. The condo build appears to be only a few years old so some maintenance would go along way to making this a very nice place." "stay at condos much better this year. Had previously rented when the condos were in terrible shape." "We were delighted with the Condos! Lovely finishes and a nice design. They were spotless, top to bottom, and that meant a lot to me. My family loved the pool and the grilling area. Being on the lake was a bonus. 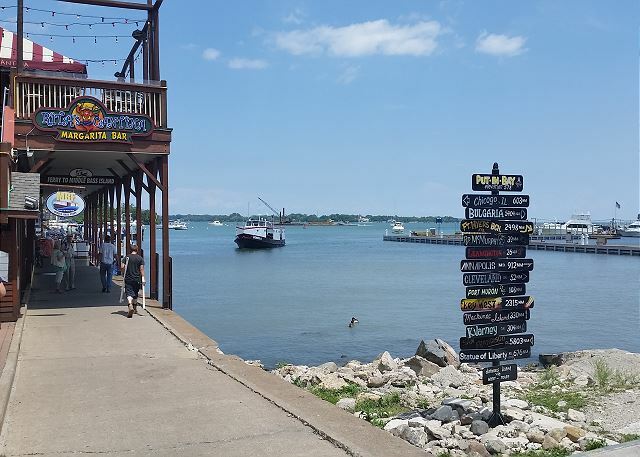 We enjoyed walking down there on the pier and enjoying the view. Thank you for a much needed break. We loved it!" "Relaxing, Comfortable, and enjoyable. 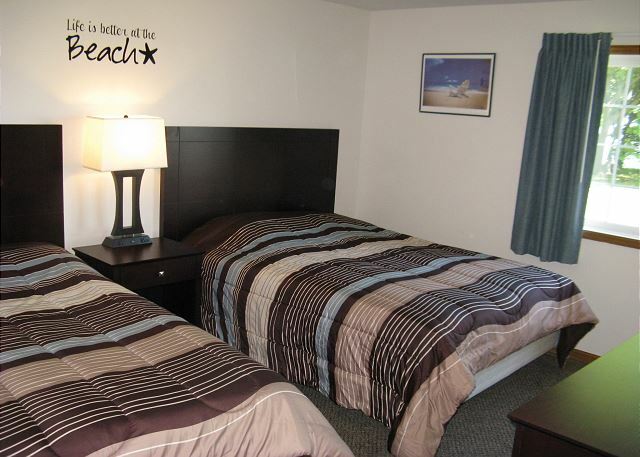 Highly recommend this condo for your stay at Put-in Bay." "We thoroughly enjoyed our week at the Waterfront Condo. I had previously stayed at the Condo with the previous owner 3 or 4 times over the years. The place has gone through a pleasant transformation over the years. We were there when the weather was really tough for fishing and enjoyed the amenities of watching movies and games while we were there. Would highly recommend to anyone." 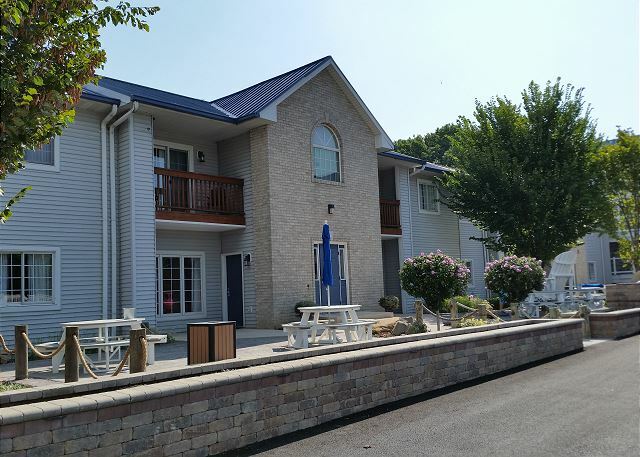 "It was a very clean ,nice place to stay , great parking and great view of the lake. Will stay there again"
"our stay was amazing. My husband & I had a great experience. The only issue we had was that the propane tank. The grill went out while we were cooking so we arent sure if the tank was a new tank. But overall it was GREAT." "It was a nice condo, but very sparse kitchen amenities. We had been promised a down unit and did not get it. Management was very nice though and gave us a 1/2 refund on our second unit at a last day notice that we could not use it." "We arrived to the property to find cobwebs and cigarette butts covering the upstairs balcony. When we visted the pool area right after the pool man left,the patio chairs were also covered in cobwebs and bugs still floating in the pool. To top off the weekend the central air was out. After several calls to office and 2 trips by the maintenance man. We returned to the condo to find one box fan left. The condo has 2 bedrooms and a living area and they only left us one fan. Since this trip was in August and their was no central air we had to open the windows. But because the windows and the front balcony did not have any screens we had to also deal with bugs. I am still waiting for management to address my issues." "The condo was full of Mosquitos. The patio door was broke and when called to report no one came out to fix it for two days. There was no toilet paper or trash bags. The site indicated it was lake front and it wasn't. The gas grill didn't have a propane tank so kind of hard to grill out." 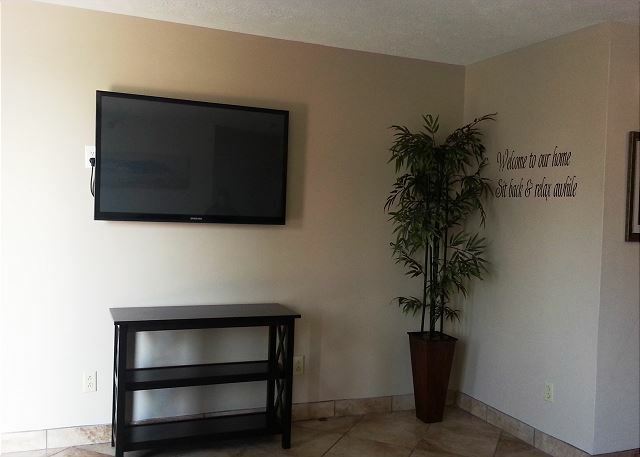 "Overall the condo met our expectations and as was pictured. 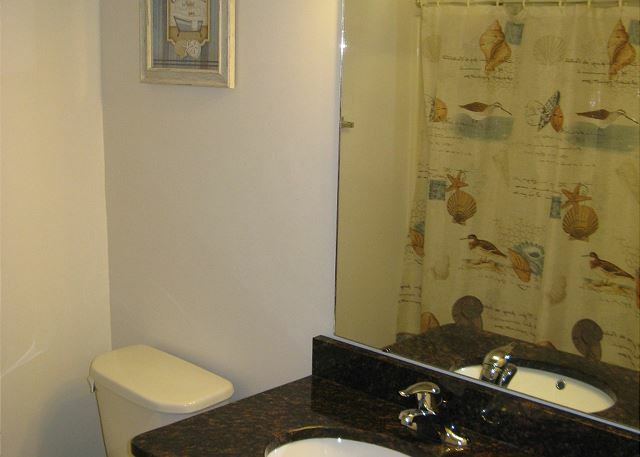 The Condo was well kept, clean, and everything was in excellent working condition. The only issue we had is that the front balcony did not have a screen and we were unable to open the door due to bugs." "we loved how convenient and private the condos are!! private pool and dock, fire pit"
"Its a beautiful, clean and relaxing place to visit. It is a great getaway that is not too far from home." 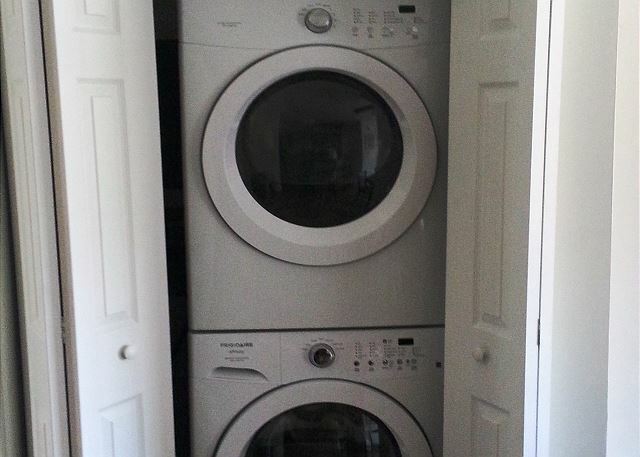 "Great condo but was a little hard to find. Need a sign or a street sign. Pool looked nice but it wasn't hot enough to use it. Enjoyed the view from the lounge chairs of the lake. Nice grill and patio area. Could have used a few kitchen items - dish clothes and glasses. Was a relaxing time, used golf cart to go downtown. Would stay there again." "The stay here was great! 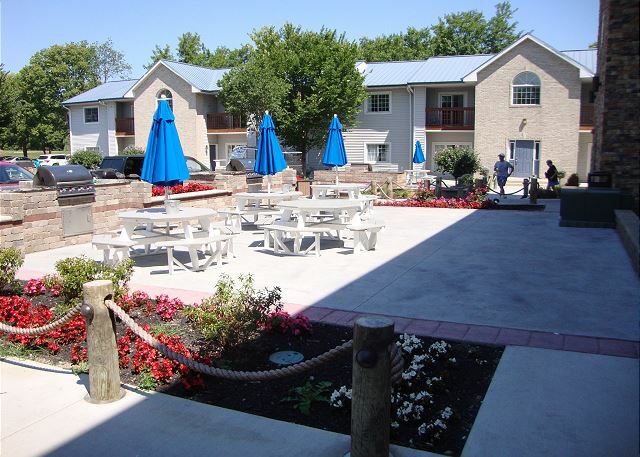 We had ample space and the amenities were very useful for cooking and laundry. We would definitely go back for another weekend getaway!" 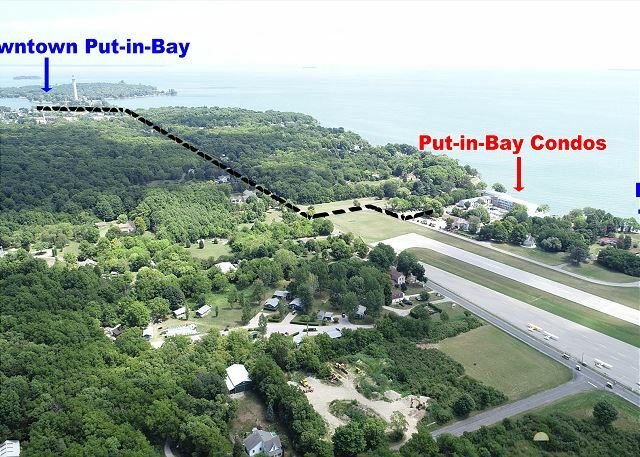 "We recently stayed at the Put-in-Bay Condos. Great views, nice pool and lovely patios with built in grill. The condo itself was very clean with granite countertops in the kitchen, a nice eating area and living room, and 2 bedrooms/bathrooms. I would definitely stay here again. Also, a great service they provide is gold cart rental with the golf cart dropped off and picked up at the condo!" "Nice condos, recommend filling the bottom floors first, both parties had upper floors when the lower floors were not in use, this would have made loading and unloading much easier. Some repairs that could be done were the toilet seat in the master bedroom was loose, smoke detector batteries were beeping, the laundry doors were laying in the kitchen, no dustpan and no hallway light to come up the stairs, overall the place was great and we will definitely use these next year." "The condos were set up beautifully. Wonderful view of the lake and nice swimming pool. Would be great in the summer time." "The condos were very nice. They were inexpensive considering all of the space and upgrades in them. The location is quite a way from downtown so you definitly need a golf cart or some form of transportation. 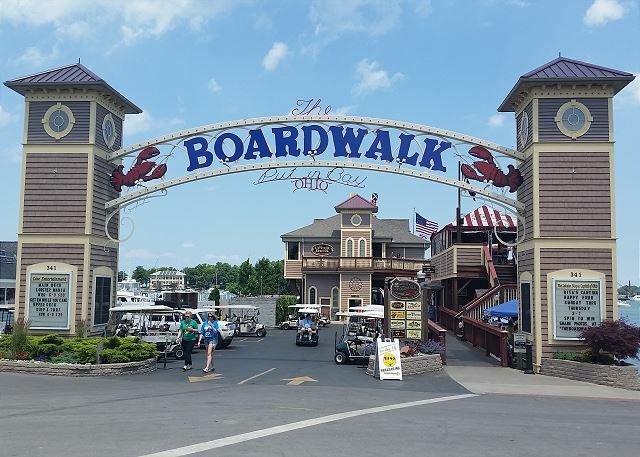 If you are arriving late it is somewhat confusing because all of your confirmation information says "Island Club Rentals" but if you tell a taxi person or pizza delivery person that they do not know where you are talking about. They call the condos "South Shore". 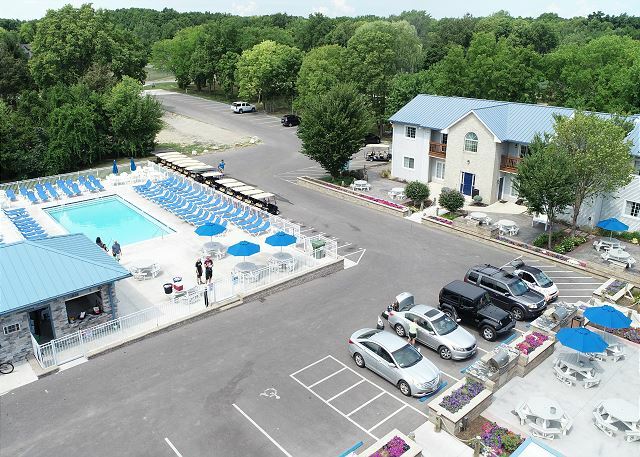 It would have been nice to know that ahead of time, especially since there is no front desk or anything so when you get dropped off there you just have to hope you are all the right place." "We had a great time the place was wonderful." "Gorgeous condos. We enjoyed our stay! Very spacious, clean! Just remember to bring towels and sheets! We will be back! They were worth every penny." 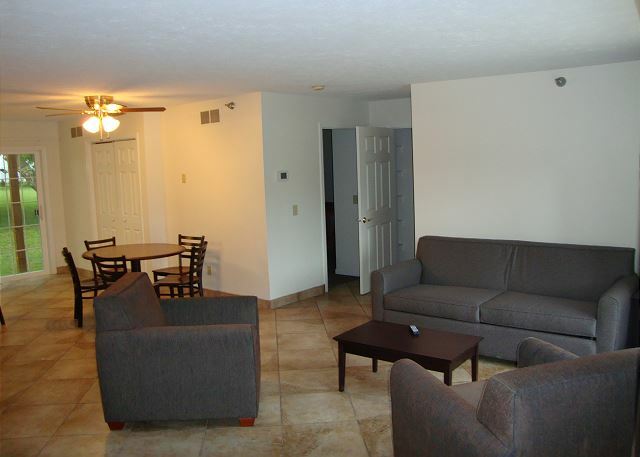 "The condo was very spacious and in a great location. It was on the lake. 6 adults were very comfortable in the condo. " "We went with a group of 8, rented two condos. Unfortunately, we were at opposite ends of the building. It would have been better if our units would have been closer but we made it work . Next year I will book earlier. The management company tried to accommodate but they were booked. They also make it very convenient with golf cart rentals being delivered and picked up right there at the condos." "Nice condo. Easy to find. Accessible to everything. Will stay again." "Property was located in a quiet area, which was good for families. Some items in the condo had been damaged by previous guests (laundry door, trim in bathroom, etc...); however, the condo was clean and had a nice view of the lake." "Nice place away from downtown crowds. Spacious kitchen, living, dining area. 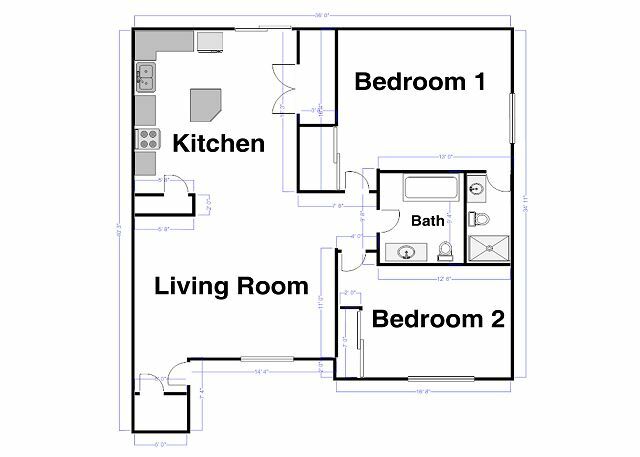 The second bedroom was cramped with 2 beds but would be great for kids. We came home late one night & the outside light by our condo was out. Also the stairway was dark. I'm sure if I'd reported this the next day it would've been taken care of. My husbands brother & wife from KY were us. We had a good time & the island was beautiful." "I had my bachelorette party at the Island Club Rentals. Overall our experience went well. There were a few things that we weren't satisfied with, but didn't ruin our time. This stay was extremely expensive and I thought it was odd that with all that money spent, we had to provide our own sheets & pillowcases. One of the closet doors were off where the washer and dryer was (I was worried we would get blamed for this, but thankfully we didn't) The pool could have been cleaned more & more utensils could have been provided. Other than that, the condo was beautiful, the location was not too far from town & we had a riot. Not sure when we will be back, but when we do, we would definitely stay there again. " "Very nice location & a great place to stay! We all enjoyed our weekend getaway & thank you for a wonderful place to stay. We are all still smiling & counting down until we can get away at this spot again :) very happy!" 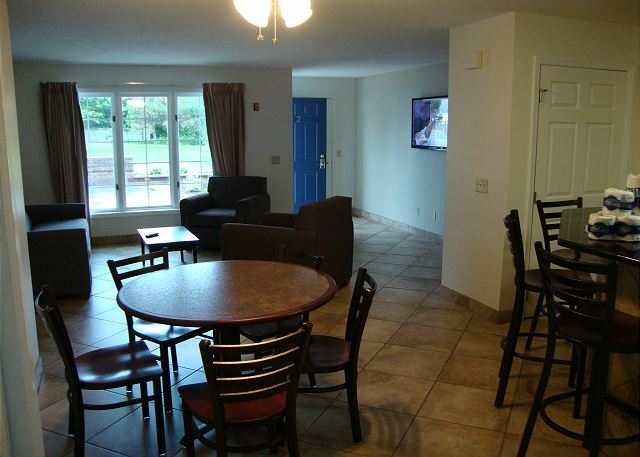 "The staff was very nice and the condos were great. " 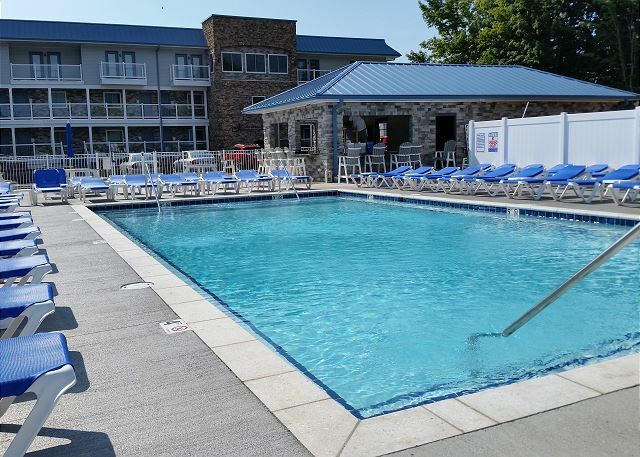 The pool is open from Spring Fling Weekend (first weekend in May) until the Fall Ball Weekend (first weekend in October).